POINT PLEASANT — The 57th annual Mason County Fair returns this Monday for six days offering several sorts of activities and entertainment for all of the county to enjoy. Daily admission to the fair is $8 for ages three and up (carnival is included with this ticket price). Season passes are $30 and do not include the carnival though a carnival ride ticket may be purchased for $6 per day by pass holders. Senior Citizens Day will be Tuesday of fair week and seniors over the age of 60 are admitted free. Discount Day will be Wednesday of fair week from 9 a.m. to 3 p.m. when admission is $5 per person and includes carnival rides. Season ticket holders can purchase a ride ticket for $4 before 3 p.m. on Discount Day. The fair kick-offs Monday with the showmanship events for hogs, goats, lambs, heifers, feeder calves and steers at 8 a.m. The youth 4-H horse show will take place at 10:30 a.m. Later in the day will be the Jason Eades Memorial Scholarship Award presentation at 3:45 p.m. The market hog show and showmanship will take place beginning at 4 p.m.
On the Main Stage, the Little Miss and Little Mister contest will take place at 4 p.m. The Point Pleasant Junior and Senior Bands will perform at 7 p.m.
At 8:30 p.m. on Monday will be the Fair Queen Contest on the main stage, along with the presentation of Annette Hanes Award. On Tuesday, goats will take to the show arena beginning at 9:15 a.m. with the Kid’s Kid Goat Show, followed by the market goat show at 11 a.m. A CEOS demonstration will take place at 1 p.m. at the Junior Building Stage, as well as an antique car and tractor show. Bingo will begin at 3 p.m. The market lamb show will take place at 6 p.m. Gospel music will fill the main stage on Tuesday, beginning with the Bo Rickard Youth in Gospel Music performance at 3:30 p.m., followed by the Harry Rhodes Gospel Sing at 5:30 p.m. The McKameys will wrap up the day’s musical entertainment at the main stage at 8 p.m. The McKameys began as three sisters deciding to start a gospel group. Now the group is comprised of original member Peg McKamey Bean along with her husband, Ruben, their daughter Connie Fortner along with her husband, Roger Fortner, their son, Elijah Fortner, and Sheryl Farris, Peg and Ruben’s younger daughter. 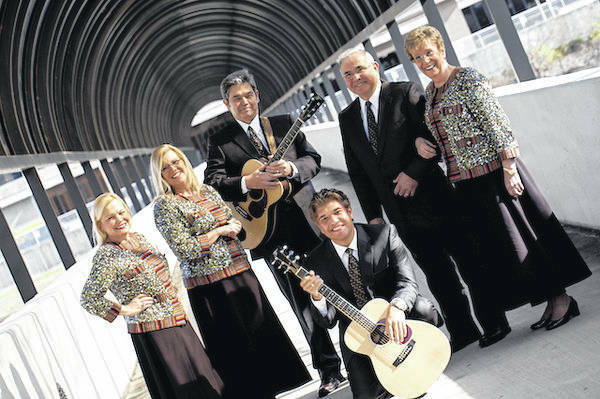 The family group remains devoted to their Lord and their calling to spread God’s Word to others through their music. The group is described as having wonderful harmonies as well as producing great songs giving them a unique opportunity to share God’s love as well as encourage the saints. 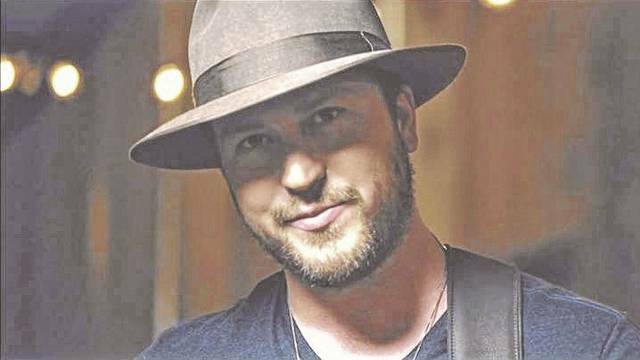 Some of their well known tunes include “Right On Time,” “I’ve Won,” “Unspoken Request, ” “There Is Jesus,” and their signature song, “God On The Mountain. Tuesday evening at the pull track will be the Antique Tractor Pull at 6 p.m.
Wednesday morning will open with activities beginning at 10 a.m. with the treasure hunt, egg toss at 11 a.m. and hay bale toss at noon. A potato sack race will take place at 9 p.m. The replacement heifer show will be held at 3 p.m., with the commercial feeder calf show at 6 p.m. The Wahama High School Band will perform at 5:30 p.m. on the inside stage, with the Soul Brothers on the main stage at 9 p.m. 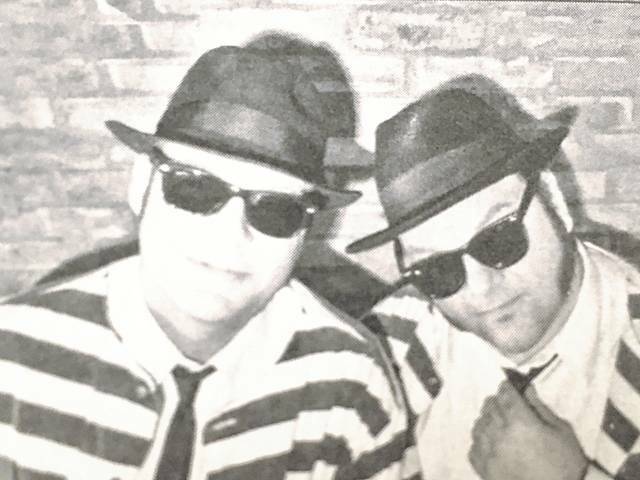 The Soul Brothers, a Blues Brothers tribute, is comprised of brothers Chris and Geoff Dahl who offer a 2 hour live show which has taken the brothers all over the world performing in blues festivals, arena concerts, and with the D.N.D/U.S.O. Showtours. Chris is known for his four octave vocal range and Geoff is known for his talent on his harmonica. Together, they continue to bring the power of the blues to stages around the world. On the track for the evening will be the Demolition Derby, along with the riding lawn mower derby and the Power Wheels derby. On Thursday morning will be the pet parade in the show ring at 9 a.m., followed by a day of cattle shows. The Youngun’s Calf Show will take place at 9:50 a.m., followed by the open beef cattle show at 10 a.m. and the junior beef show. The Mason County Special Needs Goat Show will take place at 2 p.m., with the cattle returning to the ring at 4 p.m. for the market steer show. The open and junior dairy shows at 6 p.m. will wrap up the animal shows for the day. Games and activities will include the paper airplane toss at noon and seed spitting at 2 p.m. The wheel barrel race will take place at 8 p.m. The Hannan High School Band will perform at 5 p.m., with the Pretty Baby Contest at 6 p.m. 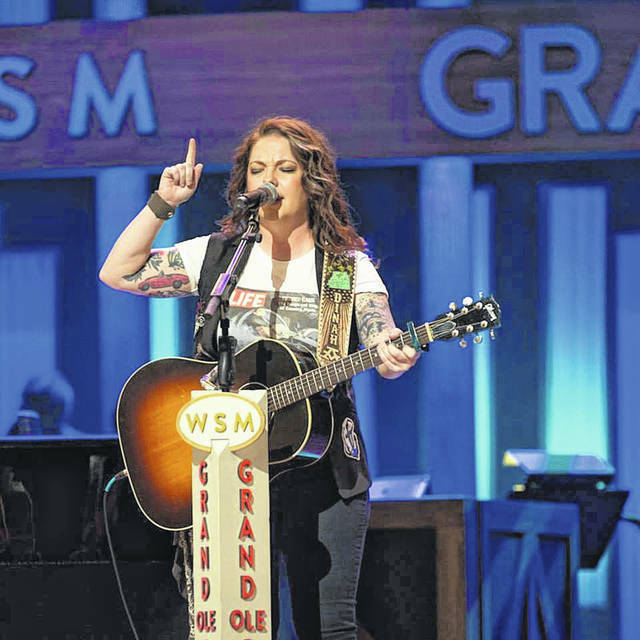 The featured Main Stage entertainment for Thursday evening will be Ashley McBryde at 9 p.m.
McBryde was raised in Mammoth Spring, Arkansas. Her love for music began at a very young age. At age three, she would pluck her father’s guitar like an upright bass causing her father to buy McBryde her first guitar. She composed her first tune at age 12. While she was in marching band, she let people find out how well she could sing. In 2007, she moved to Nashville to start spreading her talent. Her first EP, the self-released 2016 “Jalopies and Expensive Guitars” was just a taste of what McBryde could do. Her full length debut album is described as blending her songwriting chops with the vision of producer Jay Joyce, peppering her tales with a touch of guitar-driven rock fury. The farm stock tractor pull and diesel truck pull will take place beginning at 7 p.m. on the pull track. Friday will begin with the master market showmanship competition at 8 a.m. The 4-H Exhibitor and Donnie Hill Awards will be presented at 10:30 a.m., followed by the Junior Livestock Sale at 11 a.m. The pull track event for the evening will feature the super stock trucks, tractors and modified stock trucks beginning at 7 p.m. 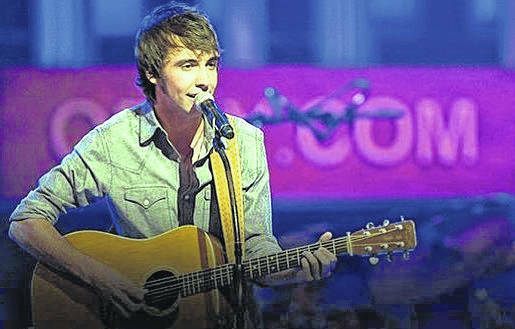 Taking to the Main Stage at 9 p.m. will be Mitchell Tenpenny, followed by Mo Pitney. Pitney began his musical career in a familial setting and picked up the drums at six and guitar at 12. He learned how to play the full album, Johnny Cash At San Quentin. Pitney was encouraged to move to Nashville by songwriting friends and received early interest from record labels, signing with Curb. While people become ever more aware of his music, he will become accustomed to bringing in large crowds. He shared on his website that even if his music does not “go huge” he still believes he will be able to make a decent living doing what he loves, knowing his heart, he always could. The final day of the 2018 Mason County Fair will include the youth horse fun show and the junior horse show beginning at 9 a.m. Horseshoe pitching, an auction for kids games and Bingo will take place at 1 p.m., with the pedal tractor pull at 2 p.m. The Old Timers Showmanship will take place at 5 p.m. The Riverside Cloggers take to the stage at 6 p.m. , with the 4-H Dance to be held at 8 p.m.
Motorcycle and ATV Motocross will take place at 7 p.m. 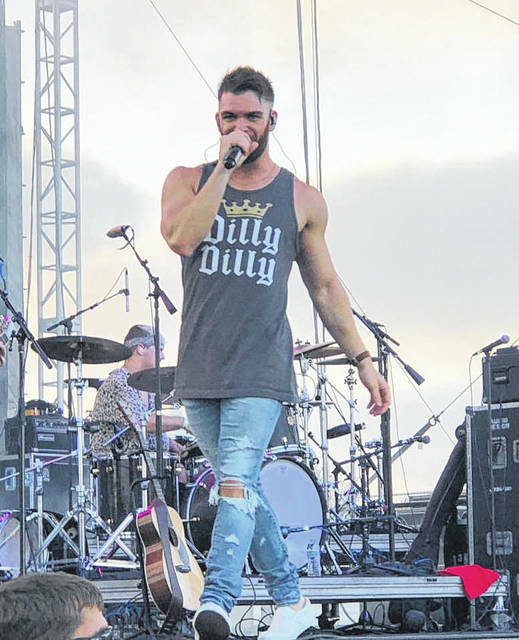 The fair will conclude with Dylan Scott on the Main Stage at 9 p.m. on Saturday evening. Erin Perkins, OVP Reporter, contributed to this article.